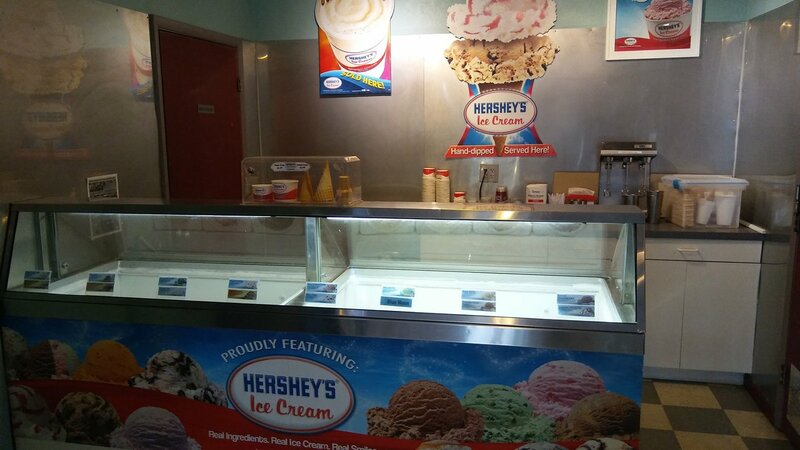 Adventure Zone now offers hand dipped delicious Hershey’s Ice Cream. We have 16 different flavors to choose from and our generous servings will satisfy your ice cream craving. Pick from 3 types of cones and choose a single, double or even our Famous Triple scoop. We even have cups with lids if you want to take them to go. We also offer real milk hand spun shakes with any of our flavors. So even if you don’t want to play mini golf or race go carts stop out and let us scoop you up a smile and some ice cream. Adventure Zone has pair up with the world famous “Devon’s Mackinac Island Fudge Company” to bring a piece of the Island to Southern Michigan. 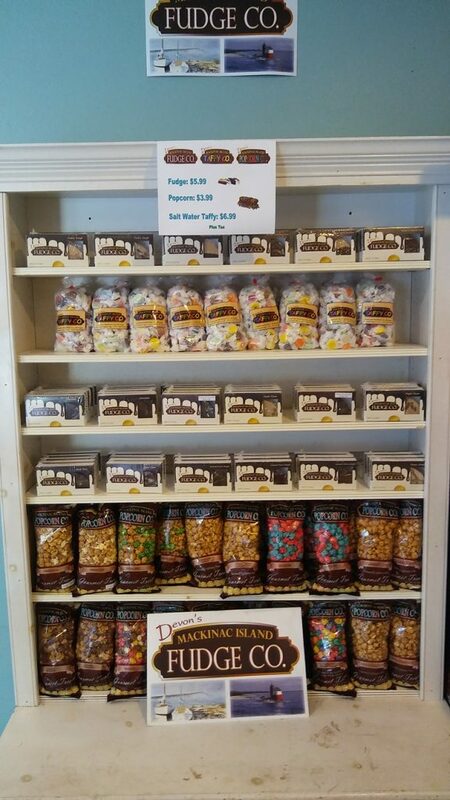 We will be carrying select flavors of Fudge, Taffy and Popcorn. These delicious handmade favorites will be sure to put smiles on the faces of all who eat them. With over 60 flavors of fudge, taffy and popcorn the most difficult part will be choosing what flavors to buy. Be sure to stock up for your out of town guests or give the sweetest gift around.